Oh, my! 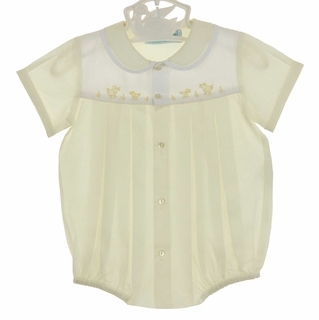 This is just the most precious pale yellow romper set for your newborn boy! Hand embroidered in the Philippines, the romper features a front buttoned closure, short sleeves and a yellow Peter Pan collar edged with white fagoting. 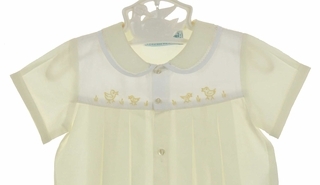 Soft pleats fall from the white yoke embroidered with little yellow ducks. The romper has elasticized leg openings and snaps in the crotch for easy changes. The matching yellow hat has white fagoted trim. 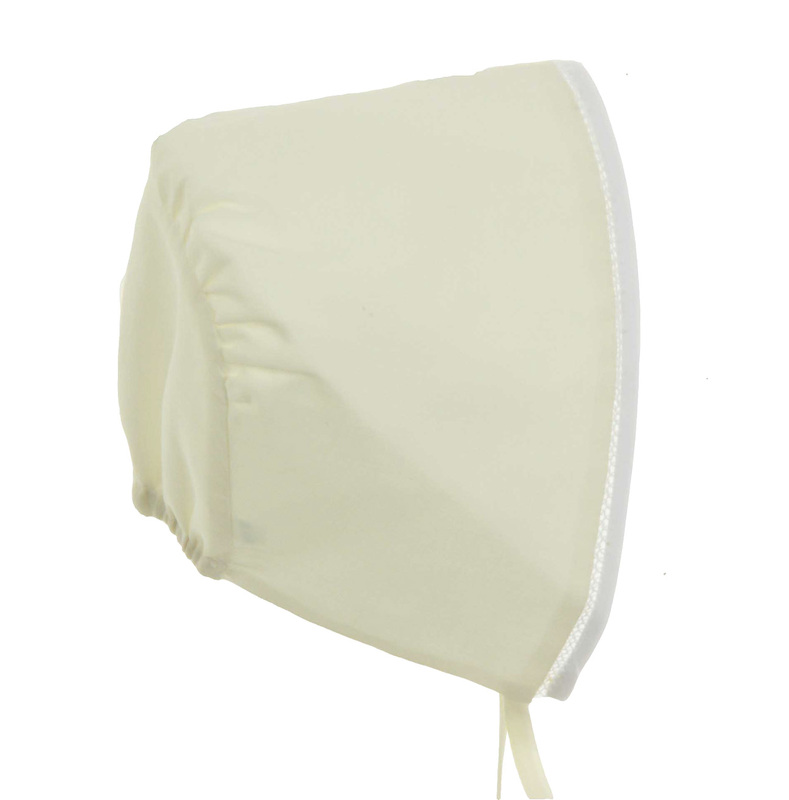 The perfect take home outfit for your newborn baby boy! Twins? Matching outfit for baby girls is also available. See below.